A soothing and gentle facial toner suitable for all skin types. 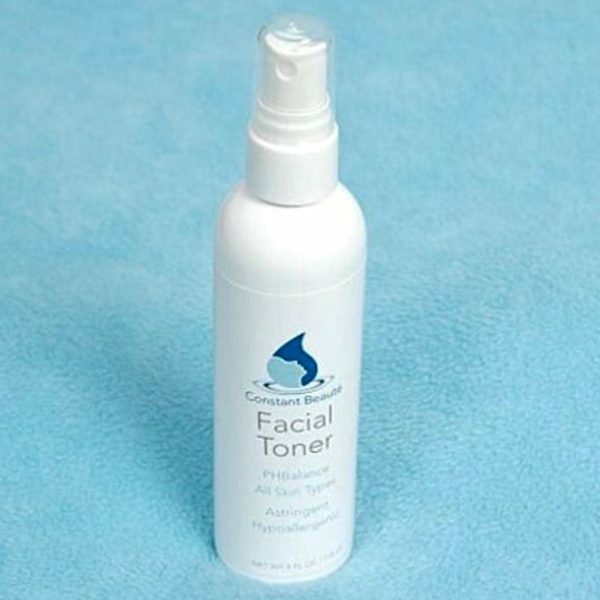 This gentle toner is formulated with all natural ingredients that tighten pores and prepares your skin for further treatment. Leave your skin feeling smooth, fresh and pure. How to use: After cleansing face and/or exfoliating, moisten a cotton pad with restoring toner and gently apply over the face in upward movements. Allow to dry, and follow with a moisturizer. Avoid contact with eyes. *Sleeping with your makeup can accelerate the aging process. Full Ingredient List: Water (Aqua), Witch Hazel, Galactoarabinan, Sodium Hyaluronate, Saccharum Officinarum (SugarCane) Extract, Vaccinium Myrtillus Extract, Citrus Aurantium Dulcis (Orange) Fruit Extract, Acer Saccharinum (Sugar Maple) Extract, Organic Coconut Oil, Organic Jojoba Oil, Organic Green Tea, Citrus Medica Limonum (Lemon) Fruit Extract, Essential Lavender Oil, Gluconolactone, Sodium Benzoate, Manihot Esculenta (Tapioca) Starch.